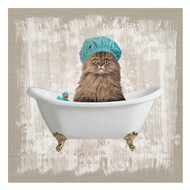 Funny cat art is a wide category that depicts household pets in funny, ironic, or ridiculous situations. 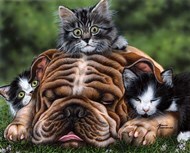 These works dispel the myth of cats as mysterious, aloof creatures and reveals the lovable side that all cat lovers know and appreciate. 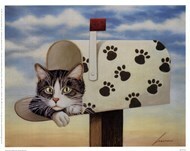 These domesticated animal images are some of the most popular humorous animal prints available to modern art audiences. 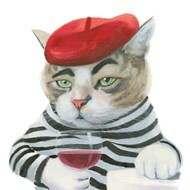 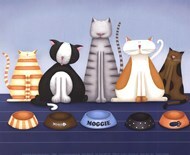 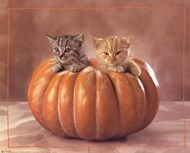 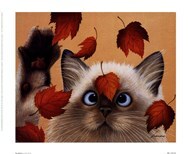 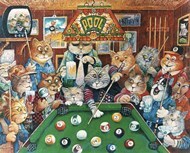 Funny cat art is not only humorous. 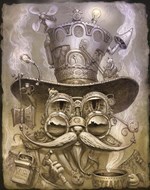 Many artists choose to engage in whimsical or surreal styles in order to address the particular lighthearted message that the work is supposed to convey. 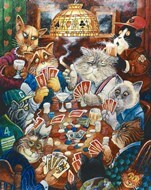 These works, such as 'Dinner Party (Mini)' by J. Parry and 'Lounging Cat' by Helga Sermat are two examples of domesticated animal images with a whimsically surreal twist. 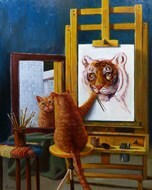 Many works of funny cat art choose to take their inspiration from real life. 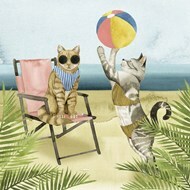 These works often feature cats dressed up, as seen in the humorous animal print, 'Raincat' by Rachael Hale. 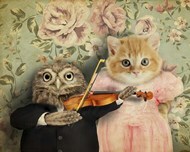 However, these antics aren't the only ones depicted. 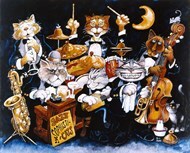 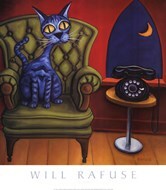 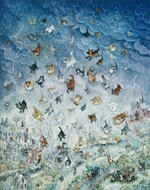 Other works, such as 'A Drenched Cat' by Jim McLagan uses the cats' natural behaviors for humor, rather than relying on props. 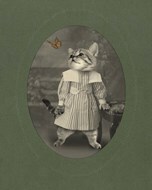 Whether it is whimsical photography or a humorous animal print, many of these works feature kittens instead of full-grown cats. 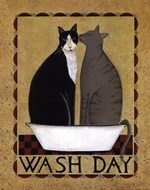 These works of kitten art often include typography in order to portray the point of the work. 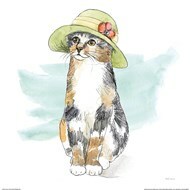 However, due to the range of expression in these domesticated animal images that isn't always necessary, as seen in the work, 'Kitten', where nonverbal cues still suggest innocence, curiosity, and other emotions.